Feb. 22, 2018, 12:20 p.m.
By Laura Hazard Owen @laurahazardowen Feb. 22, 2018, 12:20 p.m.
Publishers claim they’re taking Facebook’s News Feed changes in stride. Is the “bloodletting” still to come? 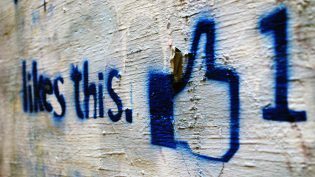 Many publishers are uncomfortable with their dependence on Facebook for traffic, particularly in light of recent changes to Facebook’s algorithm that deprioritize news. But that discomfort almost never extends to actually leaving the platform. Readers are still there, the line of argument tends to go — what would be the point of leaving? News companies aren’t going to leave en masse, so an individual news organization leaving won’t put a dent in the giant platform’s power. Still, maybe you never know how you’ll feel until you try. Not everybody is going to be Brazil’s Folha de São Paulo, which in early February announced it was getting off the platform completely. But more of us could be like the Danish regional TV station TV Midtvest, which for the last two weeks of January did the company equivalent of deleting the Facebook app from your phone and took a 15-day Facebook break. Most people on TV Midtvest’s team were not particularly eager to get back to Facebook when the two weeks were up. “What we took away was that we can easily live without Facebook,” Nikolajeva said. Being off the platform freed up time to be more creative with articles, proofread, and get new ideas. We did miss the interaction with readers, the dialogue and the reactions to our journalism,” Nikolajeva said. “But then we thought, why don’t we make more of a dialogue-friendly design on our website?” (The backlash to the comments backlash?) TV Midtvest’s on-site comments are actually currently handled with the Facebook plugin, which Nikolajeva said she hopes to change. Nonetheless, TV Midtvest is back on Facebook now, but being more thoughtful about it. “We’re asking ourselves, okay, why am I sharing this post? What am I getting out of it, am I doing it mindlessly? Do I want meaningful reactions? Do I want people to click on the article? What’s the point? We’ve started to use it more critically, much less mindlessly.” The team is sharing fewer stories about criminal activity and violence, which tended to get a lot of traffic but had a short lifespan. Nikolajeva had also been concerned that people wouldn’t be able to find its breaking news during the Facebook fast, but they did, she said. Traffic, meanwhile, has been up and down; the site is getting about 10 percent more users than it did during the experiment. “So it’s not really a lot that we get from Facebook, and that tells me that we’re on the right track, finding the balance,” Nikolajeva said. There was one wrinkle, and that was “damn Apple News.” Nikolajeva had hoped for two weeks of big-platform-free traffic data, but seemingly out of nowhere, Apple News picked up two TV Midtvest stories and drove major traffic. It was mysterious: Apple News isn’t officially open in Denmark; media companies can’t yet sign up to use it. “We were trying to wean ourselves off one big platform, and in comes Apple News,” Nikolajeva said. 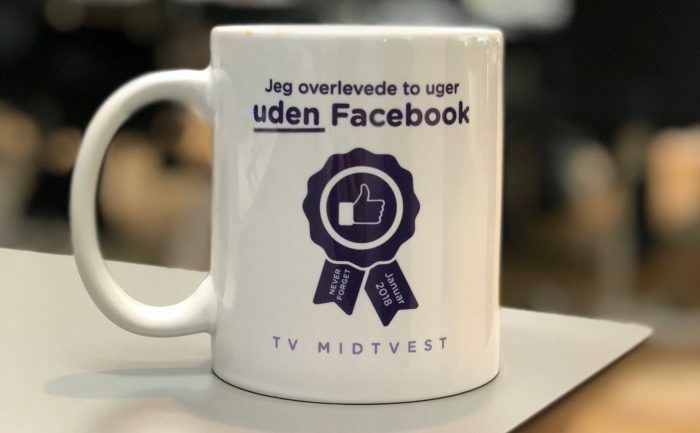 A TV Midtvest mug that reads, “I survived two weeks without Facebook. POSTED Feb. 22, 2018, 12:20 p.m.
Owen, Laura Hazard. "This TV station took a “marvelous” Facebook fast — and thinks other media companies should too." Nieman Journalism Lab. Nieman Foundation for Journalism at Harvard, 22 Feb. 2018. Web. 25 Apr. 2019. Owen, Laura Hazard. "This TV station took a “marvelous” Facebook fast — and thinks other media companies should too." Nieman Journalism Lab. Last modified February 22, 2018. Accessed April 25, 2019. https://www.niemanlab.org/2018/02/this-tv-station-took-a-marvelous-facebook-fast-and-thinks-other-media-companies-should-too/.